What would you invest 9K in? Discussion in 'Investing/Trading/Cryptocurrency/Altcoins' started by Ricky247, Sep 26, 2016. So I counted how much money was left to me from my relatives and found I had about 9K saved up. I would really like to use this to invest in what something I know can double or triple my money. Or even more. I'm looking to make a lot of friends on here with all you awesome people. I'd really look forward to learning more about what are my best options as far as what to invest in. Something that you know will WORK. miked_d, Kingmaker and WebMedic like this. Something that you know will WORK. Honestly, invest in yourself. If you want 100-4000% returns, start a business and sell it down the line. You're not going to get those kind of returns on the stock market consistently. 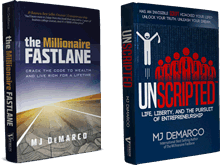 Read the Millionaire Fastlane first. Daniel A, Kingmaker and WebMedic like this. 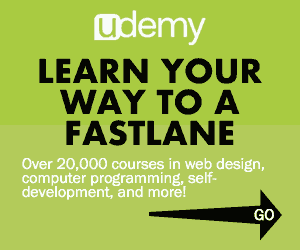 Get a fastlane insider subscription. Best investment you will ever make. Ross Morgan, Kingmaker, WebMedic and 1 other person like this. First of all, if you got no idea what to invest in, the major things you need to invest is Yourself. As far as i know, there is no any investment with 100% guarentee, it vary depends on who you are.Cheers. I'd really look forward to learning more about what are my best options as far as what to invest in. Something that you know will WORK. Hey man, welcome aboard. I will let Mark Cuban answer your question. QUESTION: IS THERE A PROVEN FORMULA THAT WILL MAKE ANYONE SUCCESSFUL AS AN ENTREPRENEUR ? Effort – The one thing you can control in your business is effort. Go and get more sales. Go the extra mile and outwork everyone. Work like there is somebody else working 24 hours a day to try and take everything away from you. Skillset – You have to understand what your skillset is. And then you have to find the right places to use those skills and then you have to go for it. Be smart – If you want to make big money reselling travel plans and making 3$ in affiliate commission, its not going to happen. You have to be smart, you can pick the wrong things. Winning – Only care about winning. You have to try to be a winning player. But is there a proven formula that works all the time and make you a millionaire or even make a quarter million? Because you don’t know who you are competing with. It depends on what industry you pick. But whatever industry you pick if you outwork everybody, if you try to be a little smarter than everybody, if you try to be a better sales person than everybody, if you try to be better prepared than everybody, you get the best chance. Because if you don’t do it and if somebody else does you lost. Ricky247, happybhoy, SparksCW and 3 others like this. After that you might have a better idea of where to start. Otherwise that $9k might disappear before you know it's gone. jpanarra, DedicatedLester, Daniel A and 11 others like this. Yes very true, invest in your self that pays the best interest! omg this is so good !!!! best advise ever!!!! Want to know what "WORKS"? It's simple: Add value. Get paid. Want to know what to spend your money on? Read the book. Listen to it on audible too. Also read/watch this: "Spend your money on diesel and coffee." FastNAwesome, Bellini, YoungPadawan and 7 others like this. Buy my course for only $8997! jpanarra, AndreHimself, Soulrize and 7 others like this. very true also the aim of the game is "impact millions get paid millions" that's it end of!! Maybe I am too conservative but 9k would be an *ok* emergency fund in my opinion. If you don't have 3-6 months of living expenses to live in case something bad happens, I would not use that as play money, at least not all. ..This is subject, of course, to you needing to sustain yourself as I do, ignore if you live with parents and have no responsiblities/bills. Although some savings never hurt IMO. Herbalife! So many entrepreneurs are living the life while helping fellows be healthier! I agree fully with the safety net. 9k would go in a safety net fund and id be looking at ecommerce businesses or similar low cost high effort start ups. It won't be easy but at the same time 9k won't get anywhere near the returns you're looking at. However I disagree with the Herbalife. I don't buy into it. I know a few people who are Herbalife coaches and sure they don't have a job as we know it but they sure aren't making the big bucks. If anything at all in most cases. I know someone who does the same MLM with energy companies and also tries to coach others. All front no substance. I'm sure there are some people making good money from it but I don't think it's nearly as many as Facebook would lead you to believe. Ever notice that the people posting the most "motivationals" usually aren't the ones driving the flash cars with lots of money in the bank? Maybe I'm just a bit cynical but I've yet to meet anyone in that industry with real substance behind them other than well-off parents and working partners. It also goes against almost everything TMFL suggests. DrunkFish, sWALK90 and SparksCW like this. haha I'm a very sarcastic person and I still missed that one. I had a similar conversation at my business networking group this morning, only the person I was talking to wasn't being sarcastic and genuinely thinks you can make a fortune with these MLM opportunities with little effort! Right now? Id look into playing the OPEC shut off valve. I would invest in metric crescent wrenches. Man, I've been where you are, and I'll tell you from the heart what I wish someone told me. (and someone did tell me, and I was upset at them...now looking back I wish they slapped me too). I don't know if that's a big amount relative to your place of living and current standard. The bigger it is, the more cautious I'd be. What I had was double annual salary (in my place of living). 1. Forget that money. Put it away in various different places. Maybe 50% in the bank, 50% at the attic. Maybe 3k in savings account so you can't touch it for at least 6 months, 3k in another account where you can withdraw from ATM if you need to, 3k at some really inconvenient place in your house. 2. Since your goal is to MAKE money, don't fall into trap of playing business by SPENDING money (like I did). Investing is a fancy word which makes things looks more serious, but it's still SPENDING. And if you do it without knowing what you're doing, it's really just a roulette. You say you'd like to double or triple your amount. In which time frame? And if someone knows a way of doubling/tripling their money by just throwing cash into some investment and not adding any extra value, what do you think - will they share it here, or be busy pouring all their cash into such investment? In all fairness, I know some guys who chip in to "own" a club, or even rent it for just a night, and then make parties and make good money quickly (overnight literally . They still have to hustle to get the club full though. 3. How about you use it as a "cushion of confidence"? Play the game of trying to make your desired amount starting with $0 invested. Pretend you have $0 and start from there, and you can get inspired by so many threads here. Person with $0 has to really think on their feet, except it would be more enjoable and more like a game to you, as you know you're not broke - you're just playing the game. And knowing you have $9k of "backup" can give you confidence to make bolder moves. 4. Read The Millionaire Fastlane book, and start working right away, gain momentum while you're inspired. 5. Here's an idea on how to double your money - and I'm serious. Put away all (or most) of it - and then just make 9 more thousand! Really man If you're goal is 18k, you already have 50% of it. You'll reach the 100% much faster if you don't spend it all. 6. At the end of it all, make your own decision. I'm just another guy from the internet, and just shared my experience. There are probably better and different ways to go about it, some of which may include investing it all. Determined2012, Frankie Relax, Bellini and 2 others like this. Hey guys, I read all of your post on here and thanks for your comments. Let me address some thing that were said. I think I may have given the impression that I've wanted to spend ALL of my money. I don't, I won't and will never do that, ha. A lot of hard effort to save and just want to be smart. I've invested in my self already, and the person that told me to do that was none other than Grant Cardone. I realized, I don't need another book to read, I've read tons, I need more action and less pondering. If there's a way to put money into a venture like a stock that's good, or maybe spending 5 bucks on an item and drop shipping it, whatever business idea you suggest I'm letting you know I'm stable for it. HERE'S MY NATURAL INCLINATION: I realized I can start a life anywhere. I thought of moving to a bigger city, and getting an apartment there, which is about 800 per month, then just live life. Or I realized I can put it in real estate and rent it out to people - live in the top floor and rent out the bottom and over time I'll have profit. My point is, there's OTHER ideas out there that I can do without having to be conventional. I meant more realistic things, like starting a business (hence which type? ), selling a book, drop shipping, buying a domain, or something I thought would be a good idea would be: finding a business that is already thriving and put some money down on it to be a partner and with some patience and hard work, I'll be so. <This is something I can esteem to do once I make more money but I thought it's a good way to make (arguably) passive income. Special thanks to: FastNAwesome I loved your response. You're a boss. hey ik curious as to what kind of information is in the insider subscription? and how much is it? Put some away for investing in courses, products, and books that will help you become a better person and a better marketer/businessman. Also, look around and see if you can find a mentor or a coach you can hire to train you. Usually the quickest way to success is to find someone who's doing what you want to do and hiring them to help guide you. That's one of the things I'm planning to invest in real soon. It isnt enough to make anything with and it isnt little enough to be stupid if its all you have. Set it aside and wait is my advice. To double or triple your investment in any reasonable amount of time you'll need to be crafty and start something. By asking us to do it for you and just decide... you aren't ready to make that decision. So my answer is this... If it is just burning you up not investing it go buy a 10 year treasury bond. FastNAwesome, PaulRobert, nradam123 and 1 other person like this.